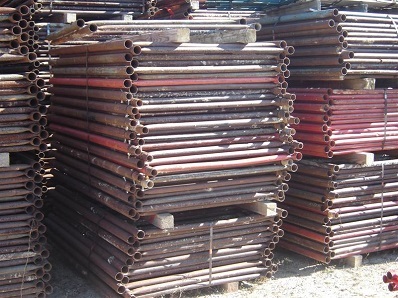 WACO Shoring (10K Per Leg) HI-Load Shoring at excellent prices. Please reach our sales department to discuss HI-Load WACO Shoring further. WACO Shoring Frame	2'x6' WACO Shoring Frame	4'x4' WACO Shoring Frame	4'x5' WACO Shoring Frame	4'x6' WACO Shoring Cross Brace	3x4x8 WACO Shoring	24" WACO Shoring	36" WACO Shoring	6-3/4" x 9" (SP) WACO Shoring J Head	Interchangeable 14" WACO Shoring Connector	WACO Shoring Rivet	WACO Shoring Hitch Pin	WACO Shoring Swivel 1-5/8" or 1.90 WACO Shoring R/Angle Navy 2-1/2" x 2" WACO Shoring Galv	6' with fitting WACO Shoring Galv	8' with fitting WACO Shoring Galv	10' with fitting WACO Shoring Galv	13' with fitting WACO Shoring Swivel Navy 2-1/2" x 2"